The Welsh Highland Heritage Railway welcome Bagnall Steam Locomotive 'Gelert' back after an overhaul at the Statfold Barn Railway. 'Gelert' has been out of service for a while. Firstly she was stored at Gelerts Farm Works awating an ovrehaul, whilst a new welded boiler was being made. Once her boiler was finished she was moved to the Statfold Barn Railway for the overhaul. 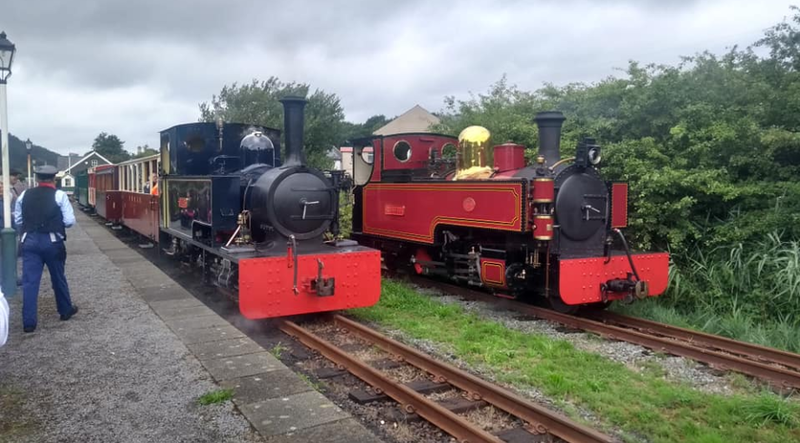 While she was at the Statfold Barn Railway she returned to steam in April 2018 and she attended the Statfold Barn Railway's enthusiast's day before returning to her home, the Welsh Highland Heritage Railway for some finishing touches.